Edith Marie Williams Simmons, age 94, died Tuesday, the 14th day of June 2011 at The Villlage At Ware Memorial in Amarillo, Texas. She was born July 15, 1916, in Goodlett, Hardeman County, Texas, to Freeman M. and Stella May Ramsey Willams. She was raised in Childress and married Francis Lee Simmons on September 15, 1934. Edith and Francis remained in Childress where they worked and raised their family. She retired from United Supermarket after many years of service. Services will be held at 10 a.m., Friday, June 17, at The Johnson Funeral Home Chapel at 307 Avenue C. N.W. in Childress. Burial will be in the Childress Cemetery. Relatives and friends are welcome to join in the celebration of her life. Work was the most important thing to Edith, but in addition she loved gardening, fishing, crocheting, canning and cooking for her kids, grandkids and great-grandkids. She was a caregiver for many friends and residents around the Childress community even in her later years. If someone was in need, Edith was just the person to help. A favorite memory of Edith and Francis’ years together was in 2005 when they were crowned King and Queen of the Old Settler’s Rodeo. Edith will be remembered for her honesty, integrity, hard work, perseverance and her no-nonsense personality that allowed her to raise her seven children. Edith is survived by her daughter, Shirley Mills and husband, Robert of Childress. Daughter-Sharon Wadley and husband, Ronnie of Childress. Daughter-Gayle Canon and husband, Roger of Wichita Falls, Texas. Daughter-Toni Schubarth of Ft. Worth, Texas. Son-John Simmons of Dumas, Texas. Son-Harold Simmons and wife, Donna of Dumas, Texas. Son-Bill Simmons and wife, Grace of Atoka, Oklahoma. Brother-Bob Williams and wife, Madie of Olton, Texas. 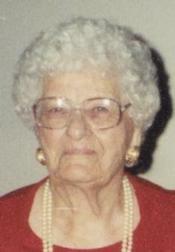 Life-Long Friend-Florence Gallagher of Childress, Texas. She was preceded in death by her husband, Francis in 2006, parents, brothers; Joe Willams, Carroll Williams, Bill Williams and sisters; Mabel May, Roxie Parnell and Johnnie Cramer, and son-in-laws, Jimmy Moates and David Schubarth, and a grandson, Mark Moates. Edith’s family would like to thank her Ware Memorial family for the love and kindness that was shown to her and her family during her illness the last couple of years. In lieu of flowers the Simmons family request donations be made to The National Alzheimer’s Association at www.alz.org or by mailing it to Alzheimer’s Association Star Chapter, 4687 N. Mesa St., Suite 200, El Paso, Tx 79912.